Do You Ken the V&A Shop in South Kensington? 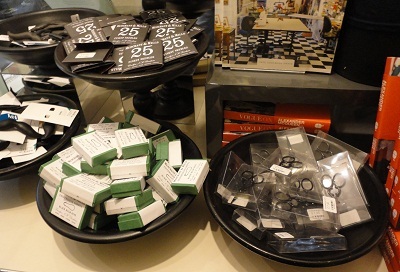 Entry to the V&A is free, so it makes sense to browse the shop when you're in South Kensington. The range of merchandise is amazing, and I'm sure you'll find gifts suitable for both family and friends. 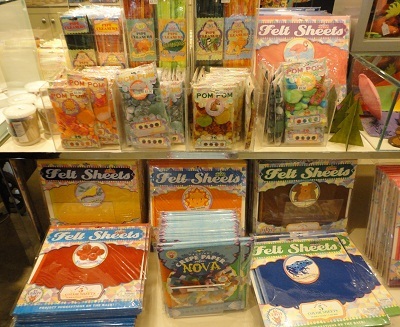 There is no shortage of stationery, including Christmas cards. Many of these items are inspired by the designs of William Morris and his Friends. If the Arts and Crafts Movements isn't your thing, there is a whole host of other items taking inspiration from the V&A collections, or from current exhibitions. At this time of year there is a large range of Christmas decorations and general giftware and the entire Christmas Gift Guide can be found online. What could be more glitzy than the Hollywood Costume and British Ballgowns collections that are currently wowing visitors? If you're looking for something a little nostalgic there are many items of jewellery and accessories drawn from these exhibitions that will fit the bill, or you can also purchase the books about these two exhibitions. 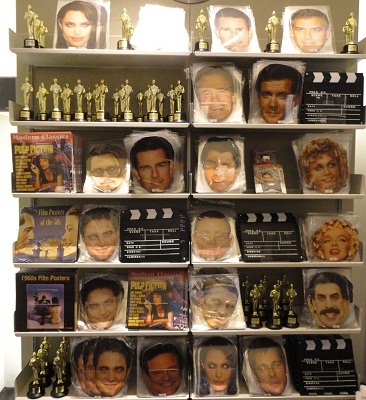 For something a little more light hearted, you can take your pick from George Clooney or Marilyn Monroe masks to name but two. You can choose from shelves of books or ranges of coats, jackets, scarves, umbrellas, shoes, bags, pieces of costume jewellery, posters and prints, fabrics and haberdashery. Are you stuck for a present for a modern child who is obsessed with computer games? Take them back to bygone childhoods with some pipe cleaners, felt sheets or pom poms and put them in touch with their creative side. Do you just want something small for a friend who likes to sew or embroider? There are small packs of pins and needles, decorative scissors and Arts and Crafts inspired buttons. For green fingered friends you can find a selection of gardening tools and there is a host of other items suitable for stocking fillers for all ages. 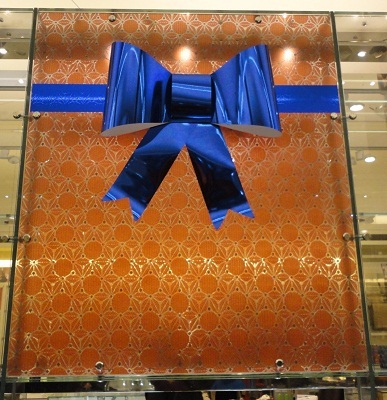 And of course there's a large selection of everything you need to wrap and adorn your presents. 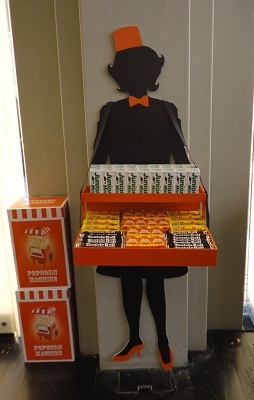 Just a further reminder of the Hollywood Costume exhibition, which has its own shop, including a trip down American confectionery memory lane. And of course, movie culture would never be complete without Dorothy's iconic ruby slippers (from The Wizard of Oz) which are available as costume jewellery. 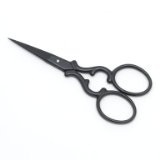 I treated myself to a pair of black curvy scissors to keep in my bag, along with my tape measure. Every girl should have a pair.